During prolonged storage the honey hardens, it is candy. The reason for this process is the crystallization of glucose and sucrose. But to return to its former liquid state is not difficult and hardly takes a lot of time. If you have a room with a high temperature (not less than 35 degrees) to transform the honey into liquid again quickly and easily. Leave it in a warm room for a few hours, and eventually it will gain its original appearance. For such a way to liquefy honey is perfect for example, a bath. But it is worth considering that the temperature is too high, so the process will go quickly. After 15-20 minutes, the honey should be removed to a cooler room. If the room is not hot, then apply the following method. Put the honey in a small glass jar (about 2 liters) or pan. If you are using the jar, you will need two pans of different sizes. The Bank needs to install in a small saucepan. Take a second pan larger than the first (and more jars) and fill it with water to a level a little below the middle. Put a large pan on the fire and wait until the water boils and on top of it, place a smaller pan with the honey (or the empty pot in which to place the Bank). The handle of the small pot should hold it in the bezel large. Make sure that the bottom of the smaller pan is not touching the boiling water. Therefore, the honey will be heated gradually by boiling water and hot steam. Water bath allows you not to burn the honey, when heated, it will not burn and will not overheat (the temperature when using the water bath significantly less than when heated on the fire). Reduce the heat to a minimum. It is important to remember that with this method the dilution of honey can not be heated more than 50 ° C, otherwise it will begin to lose their useful properties. 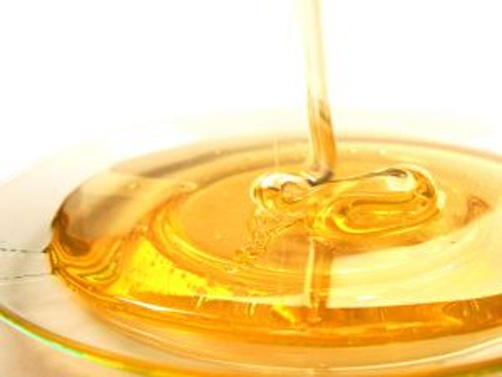 Keep warm the honey in a water bath to liquefy. Do not keep the honey in a water bath for hours - better to heat it in small portions, this way you will reduce heating time and save its useful properties. When using the water bath it is important to keep the pan on maximum flame temperature may be too high for glass and is detrimental to the useful properties of honey.